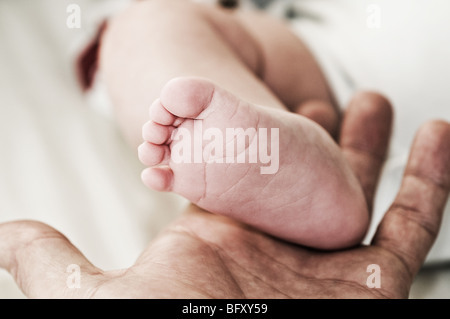 Feet of a newborn baby in the hands of parents. Happy Family oncept. Mum and Dad hug their baby's legs. Mother holds newborn baby's feets. 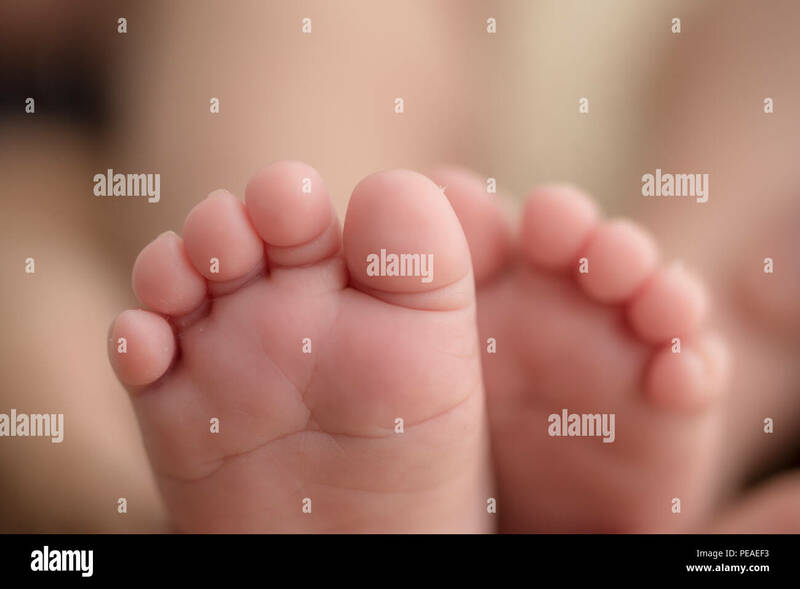 Tiny feet in woman's hand.